Kovilpalayam Kalakaleswarar Temple is around 25 Kms from Coimbatore on the Sathyamangalam Road. This place is popularly known as Sarkar Samakulam (SS Kulam). Perhaps the name Kovilpalayam may be due to the presence of the ancient Kovil (temple) in this place. That temple is Shri Karunakaravalli sametha Shri Kalakaleswarar Temple. The other name for this place is Kousikapuri as the temple is situated on the banks of Kousika River (Kousika is the other name for Sage Viswamitra). 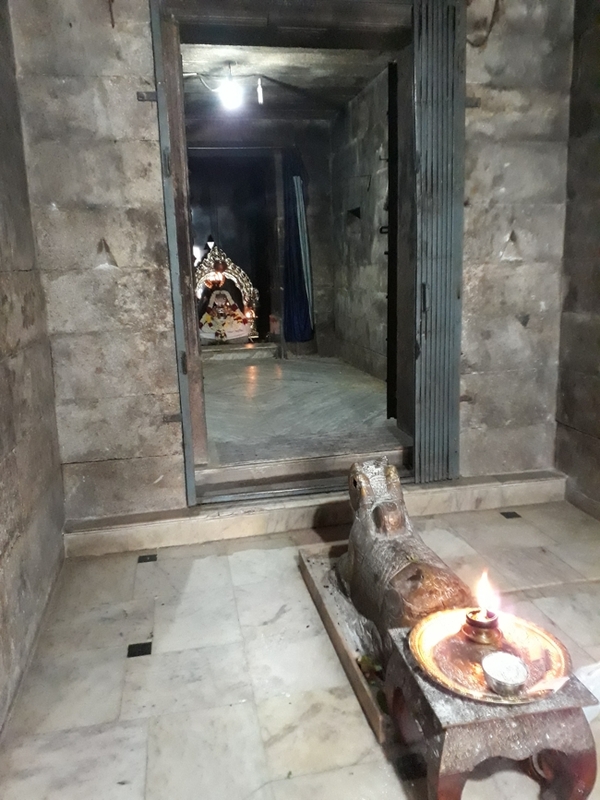 Main Deity is Siva Lingam known as Kalakaleswarar with his consort known as Karunakara Valli in different sanctum. The Siva Lingam is made of spume (froth or foam, especially that found on waves). So, here in the temple they do not use Curd, Ghee and Panchaamritham for Abishekam. It is believed to have been constructed by Chozha kings during the 7th-8th century. The Lingam is made up of spume (sea foam). Hence there is no abhishekam of the Lingam with Curd, Ghee and Panchamrutham. As per one legend, the Lingam was installed here by Sage Viswamitra. The Nandi in front of the Lord was originally green in colour. However, this green colour is no longer seen. This is also another Somaskanda Kshetram with Murugan having the shrine between Shiva and Parvathi. Sthala Purna says Markandeya life span was only 16 years. His father was worried as Markandeya was growing old. When he learnt about his father’s mental worry he started worshiping Lord Siva. On the last day of his life Markandeya was in Thirukadayoor Temple, with his hands around tied to Siva Lingam and surrendered. Yama tried to take away his life. Lord Siva got angry by Yama’s act and he kicked Yama. Due to this Yama came to Boolokam (Earth) as an ordinary person. Yama went to Kowsika puri to worship Lord Siva to get back to his previous assignment. Here in Kowsika puri to worship Lord Siva, he did not find any stone, Rudraksam or Vibuthi to perform pooja. Yama took a stick and pierced it in the ground. Spume came up and he mixed sand with it and made a Siva Lingam and started his worship. Near by Viswamithra Muni was in penance. Viswamitra muni told Yama by his Siva Pooja his curse has vanished. Yama left for heaven. Viswamitra Muni installed the Siva Lingam which was left there by Yama. The temple was constructed in later years. 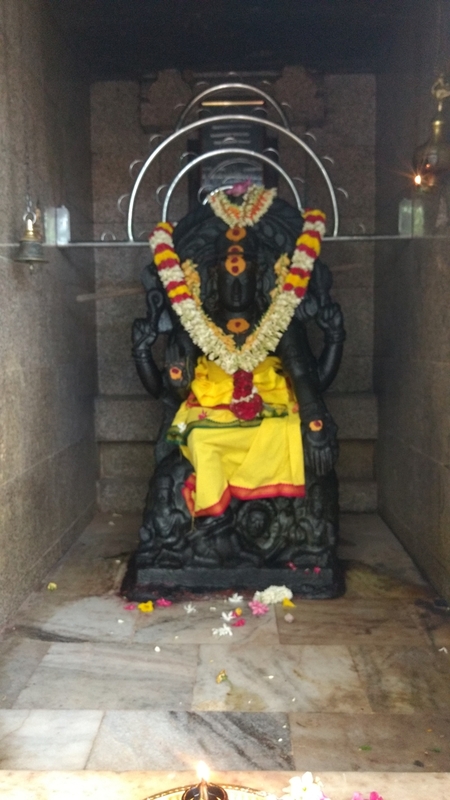 Performing Santhi Homam on their Sashti aptha poorthy (completion of 60th birthday), Beemradha Santhi (70th), Sadabishekam (80th) and Kanakabishekam (100th) in this temple is considered good. The Dakshinamurthy of this temple is believed to be the largest in the country. Another unique thing is that there is a small Lingam on top of the Dakshinamurthy idol. Hence large number of people visit this temple to worship him during Guru Horai and participate in the Lakshcharchanai during Guru Peyarchi. There is a shrine for Nanjundeswarar and worshipping this Lord is auspicious when someone had snake or any other poisonous bites. The Murugan shrine in this temple is also very popular. Hence Soorasamharam in the Tamil month of Ipasi (Oct-Nov) is celebrated in a grand way. In the Temple main entrance. We find Deepa sthambam erected in the centre of a mandapam. 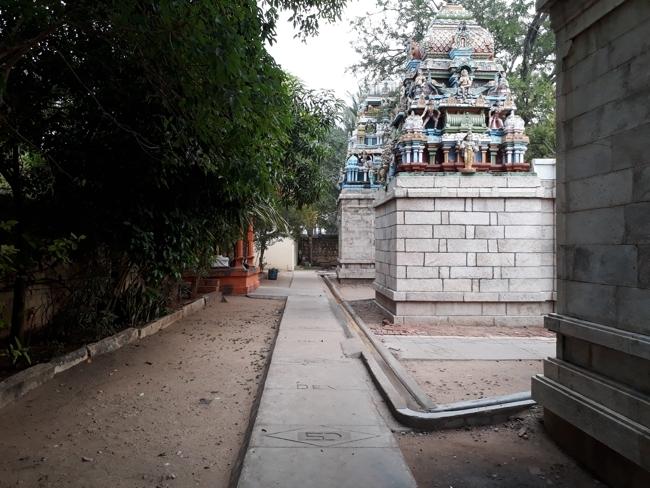 As we enter inside through main entrance we see Nandi in small mandapam and main sanctum of Sri Kalakaleswrar in Linga form. Nandi used to be in green colour like Emerald, with same qualities. Now it is not in that colour. This Siva Lingam was worshiped by Yama and it was installed in this place by Viswamitra Muni. Other deities seen in the temple are Kanni Moola Ganapathy, Lingothbavar as koshta moorthy. Nanjundeswarar in a mandapam and Navagraham. Devotees worship Nanjundeswarar with coconut water for to get rid of the effect of poison. 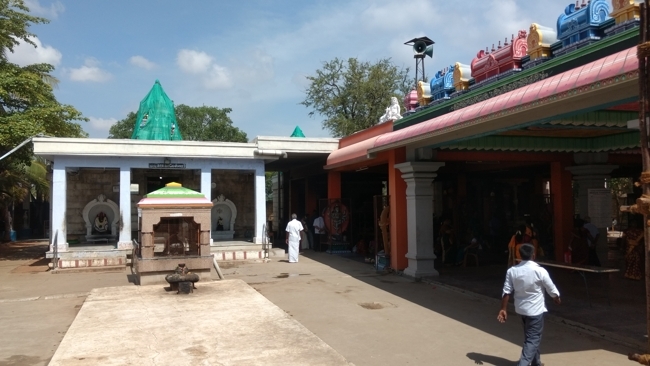 Kaalakaaleswarar Temple is 25 km away from Coimbatore at Kovilpalayam in Coimbatore District. There are lot of Buses that connects Coimbatore Gandhipuram Bus Terminal. One can reach the temple from Coimbatore by any buses (from Main Gandhipuram Bustand) towards Annur, It is just behind the main Bustop. There is no railway station near to Kovilpalayam in less than 10 km. How ever Coimbatore Junction Railway Station is major railway station 34 KM near to Kovilpalayam. 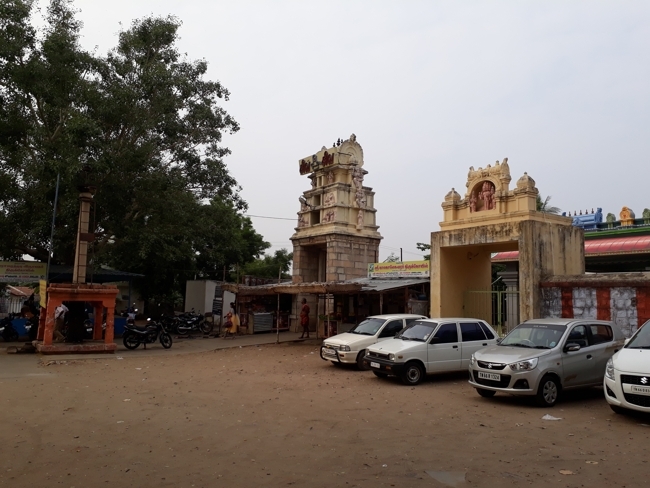 Kovilpalayam is a town located in the banks of river Kousika, 17 kilometers from Coimbatore, Tamil Nadu, India, on the Sathyamangalam road (National Highway 209). The Postal name for Kovilpalayam is Sarcarsamakulam or S.S.Kulam in short, there are quite a number of villages/towns in the name of Kovilpalayam, the nearest one to this town with the same name located in Pollachi. The name Kovilpalayam would have been derived due to its old Hindu temples.